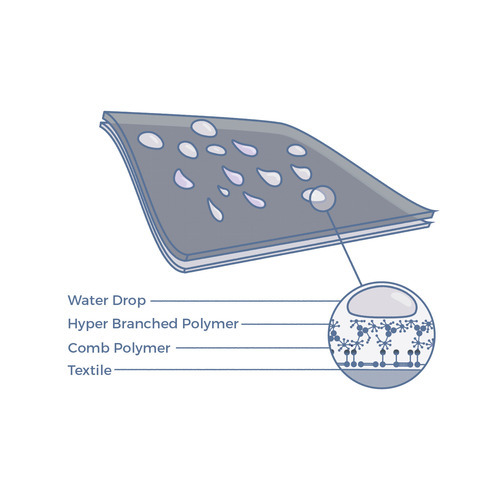 In 2014, Kelby & Co. partnered with Dropel Fabrics, maker of hydrophobic textiles, to create their first button-down oxford that repels all sorts of liquid. Now, the company is currently accepting pre-orders for their line of button-down shirts, which come in three different styles–white oxford, grey chambray, and checked gingham–and for their new french terry jacket and a white T-shirt, both made with the same hydrophobic cotton. Cotton’s just gotten a 21st Century upgrade. Welcome to the future of fashion and nanotechnology. Kelby and Co. offer stylish men’s shirts and jackets with a game changer – an invisible shield engineered to repel spills and resist stains. Using Dropel Fabrics enhanced technology, we are the only company on the market to offer nanotechnology and natural fabrics in one package. Our designs are made of 100% premium cotton and have the plush, soft hand feel we expect from well-crafted apparel. images via Kelby & Co.